DISCOVERY COVE AHORA OFRECE UNA MARAVILLOSA EXPERIENCIA NOCTURNA QUE INCLUYE CENA Y SHOW. Reservations now accepted for an all-new dinner experience. 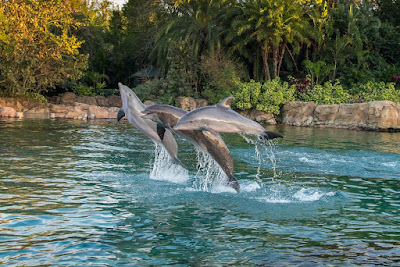 Discovery Cove is offering a brand new nighttime experience that includes dinner, drinks, and a dolphin presentation. Guests can now choose from select evenings throughout 2018 to book Paradise Nights at Discovery Cove. Whether celebrating a birthday, anniversary, or just getting away from it all, guests can escape to a dinner oasis during Paradise Nights. Attendees will spend the evening in a lush tropical environment including live musicians and up-close encounters with the park’s resident animals. Some of nature’s most fascinating creatures from South America, Australia, and Africa may be found mingling among guests before the meal. 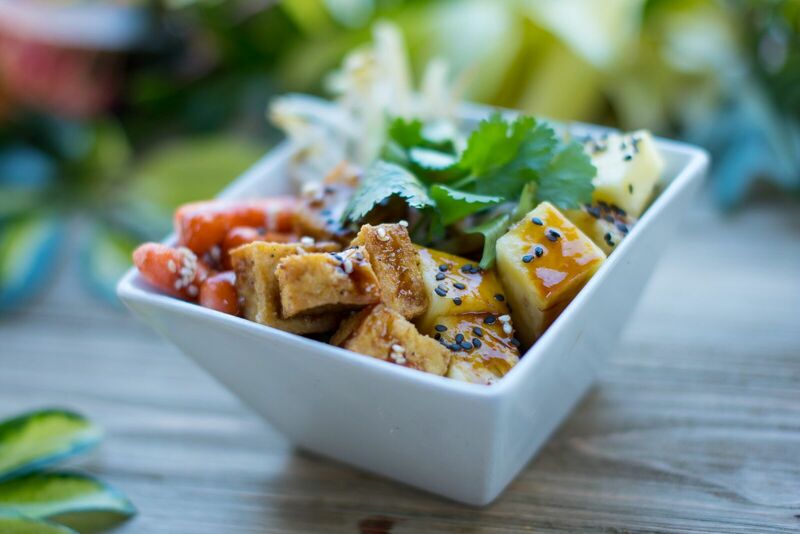 Tropically-inspired and sustainably sourced dishes are featured at the all-inclusive buffet on the beach. Entrées include pan-seared salmon, Hawaiian chicken, and a carving station with herb roasted beef. 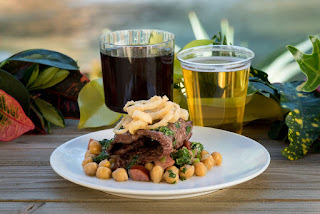 Beer, wine, and the park’s signature cocktail are also included in the dining reservation. Just before dessert, guests are treated to a special dolphin presentation – the perfect finale to a night in paradise. Filled with insight from the Discovery Cove training team, the evening session will provide a glimpse into the world of dolphin care. 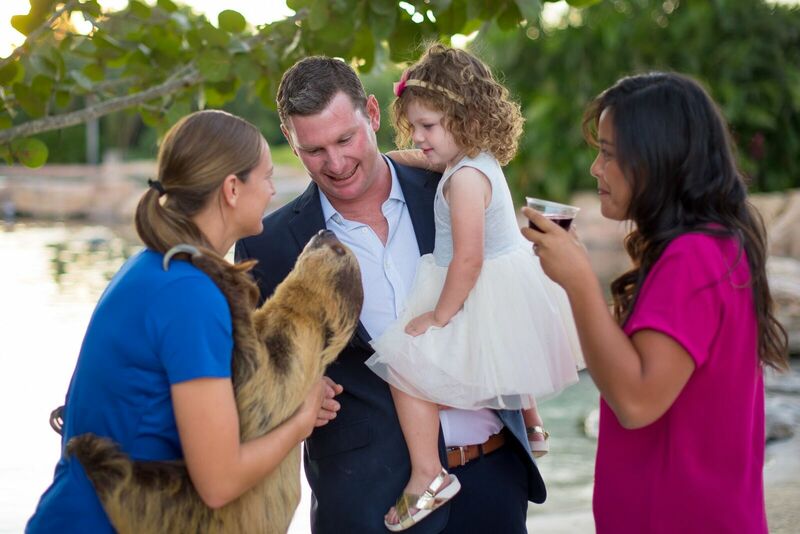 After the session, guests can spark one-on-one conversations with the trainers to learn more about the resident animals. 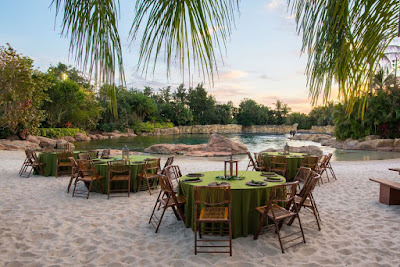 Offered select nights at the park, the Paradise Nights experience can be booked with or without admission to Discovery Cove. 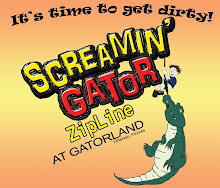 Dining reservations start at $65 per adult and $19 per child (ages 3 to 9 years old). Advanced reservations are required. 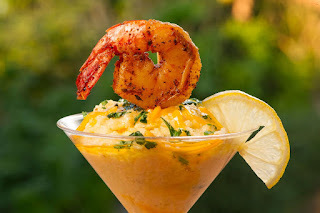 After last year’s delicious debut, SeaWorld Orlando’s Seven Seas Food Festival is returning for a second course this spring. The park will be serving all-new dishes and fan-favorites to accompany world-class entertainment each Saturday and Sunday from February 17 to April 15. Seasonal flavors will also take the stage during Seven Seas. From February 17 to March 25, specialty barbeque items will be available featuring the park’s famous short rib, brisket, and chicken. New flavors will join the festival beginning March 31. To accompany all of the savory and sweet samples sprinkled throughout the park, guests can choose from 70 beers and 50 wines to pair with the specialty food items. Five new beverage and brew huts stationed throughout the park will provide ample opportunities for guests to indulge during the festival. 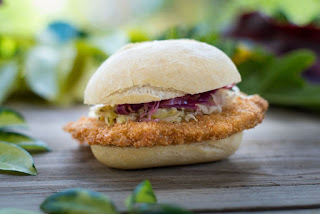 A complete menu of the Seven Seas Food Festival dishes and drinks can be found online atSeaWorldOrlando.com/SevenSeas. 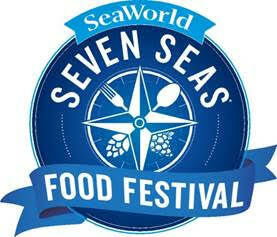 Guest can make their tasting adventure a breeze when they purchase a Seven Seas Sampling Lanyard. 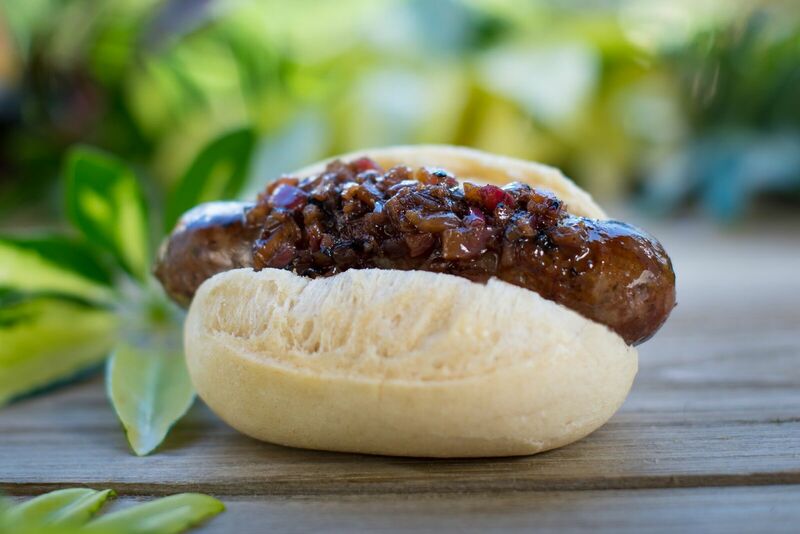 With 5, 8 or 15 item Sampling Lanyards, they can choose an assortment of flavors from the festival’s extensive food, beer, and wine line-up to fill their day. SeaWorld’s Seven Seas Food Festival begins at select markets around the park at 11:00 A. M. with all locations in full operation by 12:00 P. M. every Saturday and Sunday, Feb. 17 – April 15. 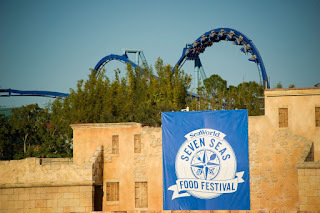 Like all special events at SeaWorld, the Seven Seas Food Festival is included with park admission – including the festival’s concerts and performances at Bayside Stadium. Featured performers will be announced soon. 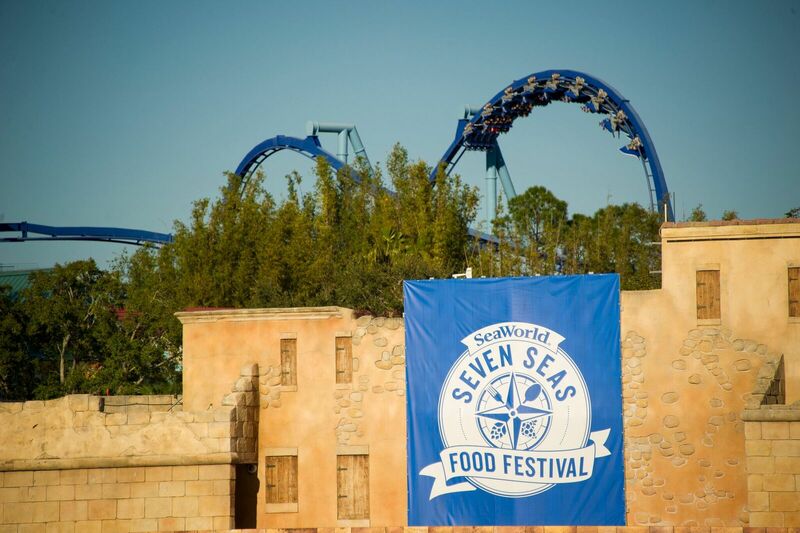 The best way to experience the Seven Seas Food Festival all season long is with an Annual Pass. 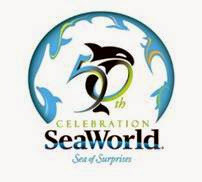 For a limited time, guests who purchase a SeaWorld Annual Pass receive Aquatica, SeaWorld’s Waterpark, for free. 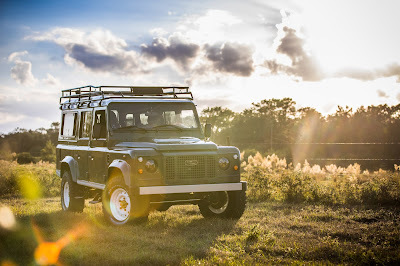 Publicadas por Axel a la/s 7:18:00 a. m.
Defenders have always been sweethearts of the off-road community, and as a consequence, some of the most popular models for modifying. Even Land Rover is doing it with the Works V8, but the aftermarket remains in a league of its own. Case in point: Project Tuki from East Coast Defender. What started life as just another Defender 110 was turned into the magnificent machine you can admire in the photo gallery by the Kissimmee-based shop. In addition to the white-painted steelies, the Keswick Green paint and heritage-infused detailing definitely pop out. Setting Tuki further apart from the crowd is the checker set in metal and KBX wing-mounted air intakes finished in Santorini Black. 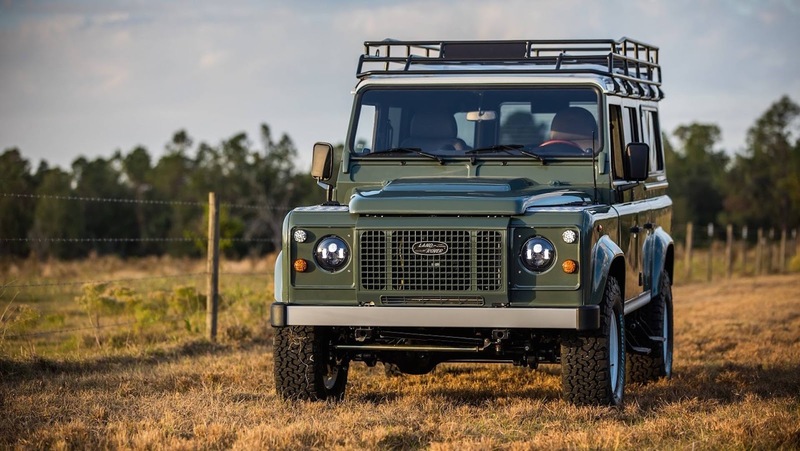 Wrapped in BF Goodrich all-terrain tires, the modified Land Rover Defender 110 also boasts a no-nonsense roof rack with a ladder and rear-mounted work light. Opening the door reveals Panda Charcoal-finished leather for the front, middle, and rear seats, complemented by black leather on the dashboard, door cards, and center console. The steering wheel, while it may look out of place, is made by the classic car enthusiast’s favorite company: Nardi. 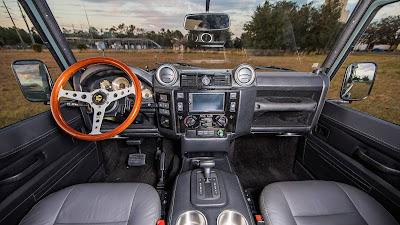 The Puma dashboard is furthered by Kenwood infotainment, which appropriately for an off-road vehicle, includes GPS navigation and a backup camera. More modern functions are also featured, including the ever-popular Apple CarPlay and Android Auto smartphone mirroring. 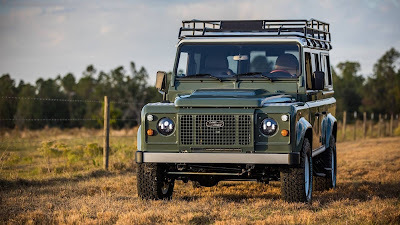 As for the business end of Project Tuki, East Coast Defender took one example of the 4.0-liter Rover V8, rebuilt it, then shoved it back in the engine bay. Turn the key in the ignition, and the old-school engine fires up into life, developing 175 horsepower at the crankshaft. Being built for the U.S. market, the transmission comes in the form of a five-speed ZF automatic. 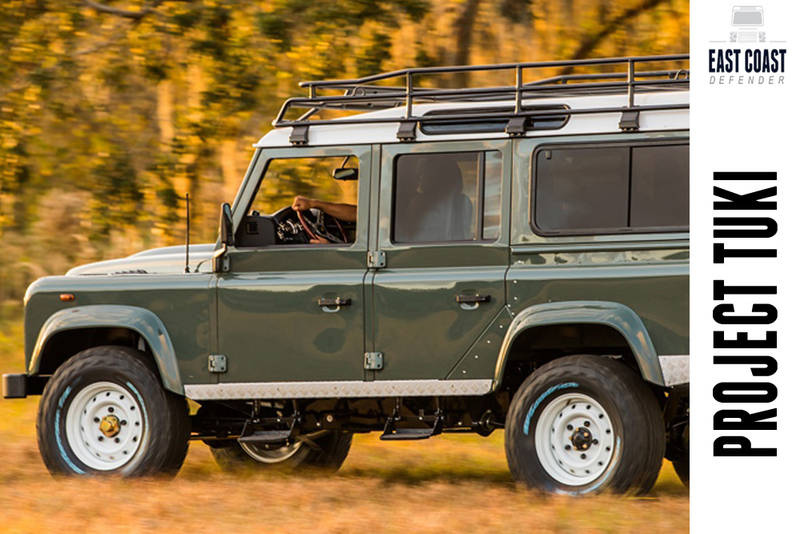 Defender ownership doesn’t get much better than this, does it? But if you’re feeling lucky, the Works V8 is an even better, more ludicrous proposition thanks to its 5.0-liter V8 with 400-plus horsepower on tap. 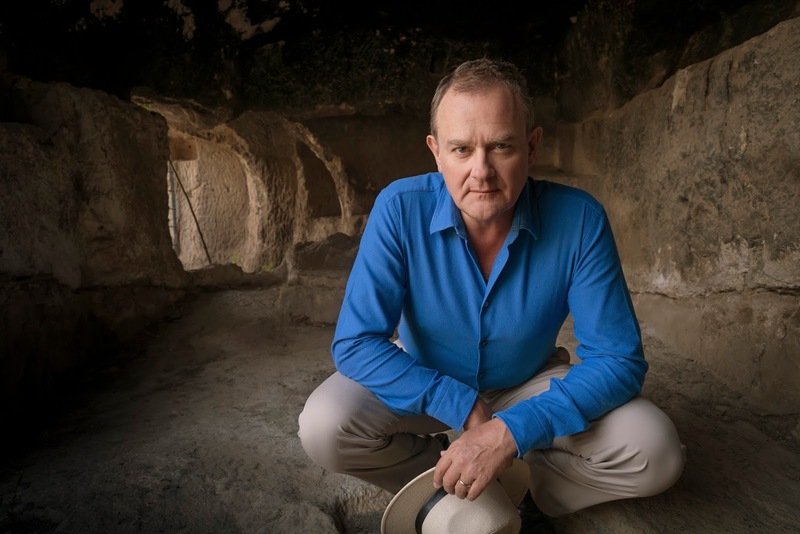 Publicadas por Axel a la/s 8:35:00 p. m.
Hugh Bonneville (Downton Abbey, Paddington) travels to Jerusalem to examine the events leading up to the death of Jesus of Nazareth, in "Jesus: Countdown to Calvary," releasing on public television stations nationwide March 1, in time for the Easter holiday (check local listings). Bonneville, a theology graduate of Corpus Christi College, Cambridge, explores the historical context of the last days of Jesus' life. With the help of noted academics and spiritual leaders, he investigates the complex factors that, in just six days, turned a popular preacher into a reviled victim of the Romans’ most brutal form of execution – crucifixion. Contributors include Prof. Helen Bond (University of Edinburgh); Prof. Paula Fredriksen (Hebrew University, Jerusalem), author of From Jesus to Christ (1988;2000); Dr. Zuleika Rodgers (Trinity College, Dublin); Prof. Ronny Reich (Hebrew University, Jerusalem); Amit Re’em (Israeli Institute of Archaeology); Fr. Gregory Tatum OP (École Biblique, Jerusalem) and Amos Oz, the acclaimed Israeli author of Judas. Professor Bond (MTheol PhD) is the principal academic consultant on the project. She is Professor in Christian Origins with Specialization in New Testament and, since July 2011, Director of the Centre for the Study of Christian Origins (CSCO) which aims to promote research into the earliest period of Christianity. JESUS: COUNTDOWN TO CALVARY is a co-production of RTÉ (Ireland), APT and ARTE and will be available for Syndication to public television stations beginning March 1, 2018. Publicadas por Axel a la/s 8:18:00 p. m.
February in the Florida Keys features unique events to be found only in the beautiful tropical islands off Florida’s southern tip. 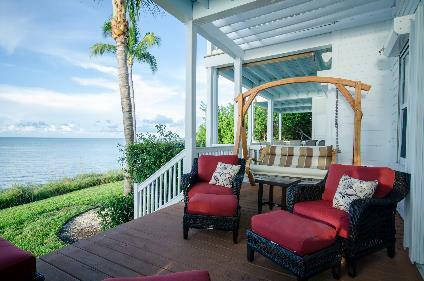 KeysCaribbean Luxury Resort Villas & Marinas salutes four events by featuring special offers to enjoy an upscale resort vacation experience in the Florida Keys this February. “We are very fortunate to have escaped the hurricane damage experienced in other parts of the United States and Caribbean. We want everyone to know that the Florida Keys are ready to host your island vacation in paradise,”said Sam Schorr, KeysCaribbean Managing Director. KeysCaribbean’s special discounts include "The Longer You Stay in Paradise, The More You Save,” which offers a lower nightly rate for each additional day booked, and guests can receive generous rates of up to 50 percent off, or complimentary night stays at all KeysCaribbean luxury Florida Keys resorts all season. 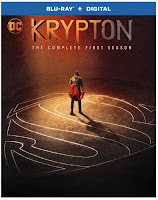 There is also an advance booking special that requires no deposit until two weeks prior to arrival date, plus a 100 percent cancellation guarantee. Iconic Keys events, such as Marathon’s 24th Annual Pigeon Key Art Festival set for Feb. 2 and 3, Key West’s 58th annual House and Garden Tours scheduled for Feb. 16 and 17, Key Largo’s 38th Annual Garden Walk to be held Feb. 17, and Islamorada’s Rotary Gigantic Nautical Flea Market slated for Feb. 24 and 25, are to take place as planned. Discounts are subject to availability. Some restrictions apply to the 100 percent cancellation guarantee. 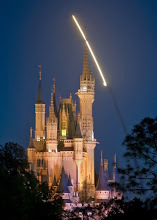 To receive the advance booking special, booking must be made a minimum of 30 days prior to arrival date. Complimentary night stays require minimum night stays, have limited availability and certain restrictions apply. Please see the KeysCaribbean website for more details. 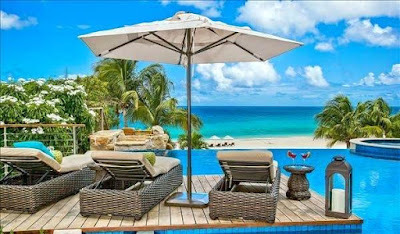 For reservations book direct at www.keyscaribbean.com or call 305.853.5000. KeysCaribbean is a dynamic, boutique resort company specializing in operating Florida Keys luxury resort vacation villas and marinas from Key Largo to Key West. Managing Director/Principal Sam Schorr possesses more than 37 years of experience in operating and marketing unique and exclusive destination resorts and marinas.KeysCaribbean is committed to the Florida Department of Environmental Protection Green Lodging Florida program. Mariner’s Resort Villas & Marina is designated as a Green Lodging property by the Florida Green Lodging Program. Publicadas por Axel a la/s 4:06:00 p. m.
E esta Primavera Krispy Kreme Doughnuts® nos trae un nuevo sabor elegido por el público...la totalmente nueva, Lemon Glazed Doughnut. America dreamed, debated and, now … has decided. 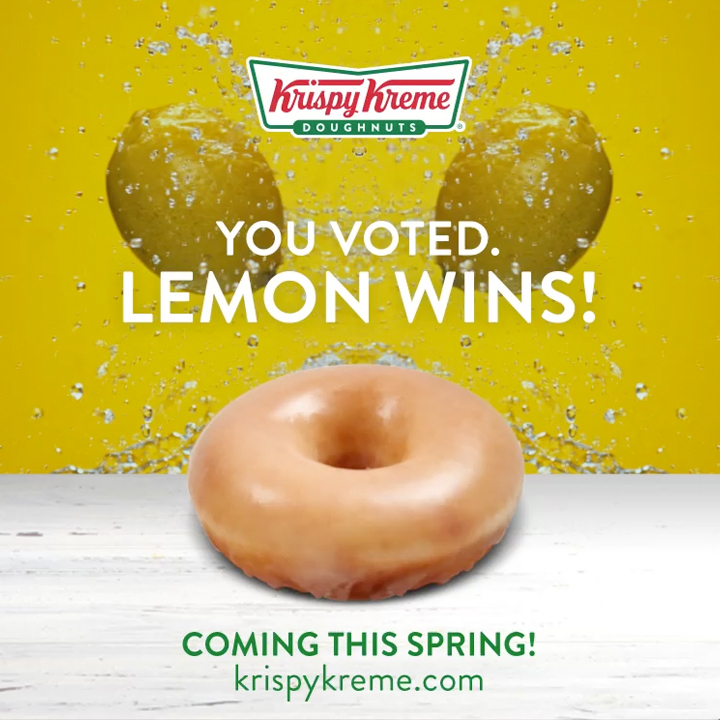 After casting nearly two million votes online over a week, America selected lemon as Krispy Kreme Doughnuts®’ next, all-new glazed doughnut flavor. Krispy Kreme’s innovation team will craft and perfect the Lemon Glazed Doughnut flavor, which will be made available this spring for a full week (exact dates to be announced soon) at all Krispy Kreme shops throughout Central Florida. The #VoteForGlaze campaign was the first time Krispy Kreme let America decide an all-new Glazed Doughnut flavor for the brand’s iconic Original Glazed® Doughnut. Fans selected from four flavors – blueberry, caramel, lemon and maple – January 16 through 22 at www.voteforglaze.com. Lemon was America’s top choice, garnering 36 percent of the vote. Caramel received 26 percent of the vote, blueberry received 20 percent followed by maple, which received 18 percent. 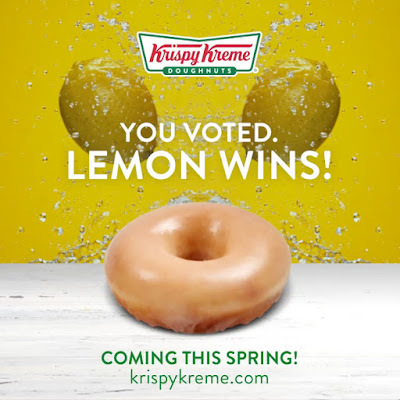 “Lemon won the vote, but we can’t glaze over the fact that the other three flavors all received a lot of support, even beyond the votes. Our fans’ passion for these flavors – and others – came through loud and clear on social media. So while the polls are closed, our minds are not,” said Jackie Woodward, Chief Marketing Officer of Krispy Kreme Doughnuts®. About Krispy Kreme Doughnut CorporationKrispy Kreme Doughnut Corporation is a global retailer of premium-quality sweet treats, including its signature Original Glazeddoughnut. Headquartered in Winston-Salem, N.C., the Company has offered the highest-quality doughnuts and great-tasting coffee since it was founded in 1937. Krispy Kreme Doughnuts is proud of its Fundraising program, which for decades has helped non-profit organizations raise millions of dollars in needed funds. Krispy Kreme doughnuts can be found in approximately 12,000 grocery, convenience and mass merchant stores in the U.S. The Company has more than 1,300 retail shops in 31 countries. Connect with Krispy Kreme Doughnuts at www.KrispyKreme.com, or on one of its many social media channels, including www.Facebook.com/KrispyKreme, and www.Twitter.com/KrispyKreme. Publicadas por Axel a la/s 7:52:00 a. m.
La batalla global entre monstruos sobrenaturales de destrucción masiva y las supermáquinas piloteadas por humanos construidas para demolerlos solo fue el preludio al ataque sin cuartel a la humanidad que llegará en Pacific Rim Uprising. 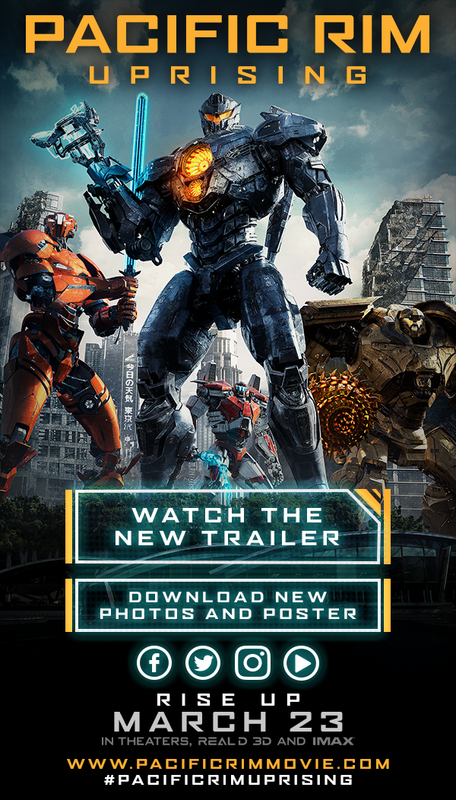 John Boyega (Star Wars: The Force Awakens) protagoniza la película en el papel del rebelde Jake Pentecost, un piloto de Jaeger que alguna vez fue prometedor y cuyo legendario padre dio la vida para garantizar la victoria de la humanidad contra el monstruoso “Kaiju”. Desde entonces Jake abandonó su entrenamiento y ahora se ve envuelto en el submundo criminal. 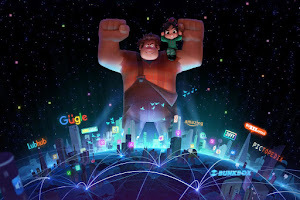 Pero cuando una amenaza incluso peor se desata sobre la Tierra para asolar nuestras ciudades y poner al mundo de rodillas, Jake recibe una última oportunidad de estar a la altura del legado de su padre, de parte de su hermana, Mako Mori (Rinko Kikuchi), con quien no tiene contacto desde hace tiempo y que ahora lidera una nueva y valiente generación de pilotos que crecieron en las sombras de la guerra. Mientras buscan justicia para los caídos, su única esperanza es unirse en una rebelión global contra las fuerzas de la extinción. Junto a Jake se encuentra el talentoso piloto rival Lambert (Scott Eastwood de The Fate of the Furious) y Amara, una hacker de Jaegers de 15 años (la actriz debutante Cailee Spaeny), como los héroes del PPDC que se convierten en la única familia que le queda. Alzándose para convertirse en la fuerza de defensa más poderosa que jamás haya conocido el planeta, emprenderán el camino hacia una espectacular nueva aventura de escala sin precedentes. 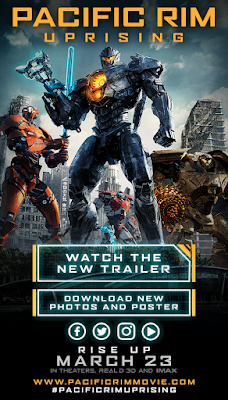 15:17 TO PARIS BASADA EN HECHOS REALES, PRONTO EN CINES. 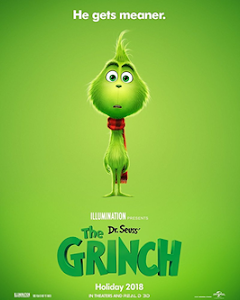 Basada en impresionantes hechos reales dirigida por Clint Eastwood, se estrena el 9 febrero. Publicadas por Axel a la/s 6:41:00 a. m.
Sunday, July 8, 2018 at 8 p.m.
Tickets on sale Friday, January 26, 2018 at 10 a.m.
Dr. Phillips Center for the Performing Arts and Live Nation announce Erasure, World Be Gone Tour, coming to the Walt Disney Theater on Sunday, July 8, 2018 at 8 p.m. Tickets go on sale to the general public Friday, January 26, 2018 at 10 a.m. Tickets start at $34.50 and may be purchased online at drphillipscenter.org, by calling 844.513.2014 or by visiting the Dr. Phillips Center Box Office at 445 S. Magnolia Avenue, Orlando, FL 32801 between 10 a.m. and 4 p.m. Monday through Friday, or 12 p.m. and 4 p.m. Saturday. Online and phone ticket purchases are subject to handling fees. 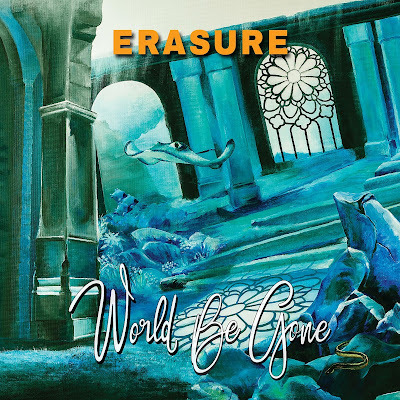 ERASURE (Andy Bell and Vince Clarke) have announced a collaboration with Echo Collective, the Brussels-based collective of post-classical musicians best known for their ongoing collaborative work with A Winged Victory for the Sullen, Johann Johannsson, Dustin O’Halloran and Stars of the Lid. 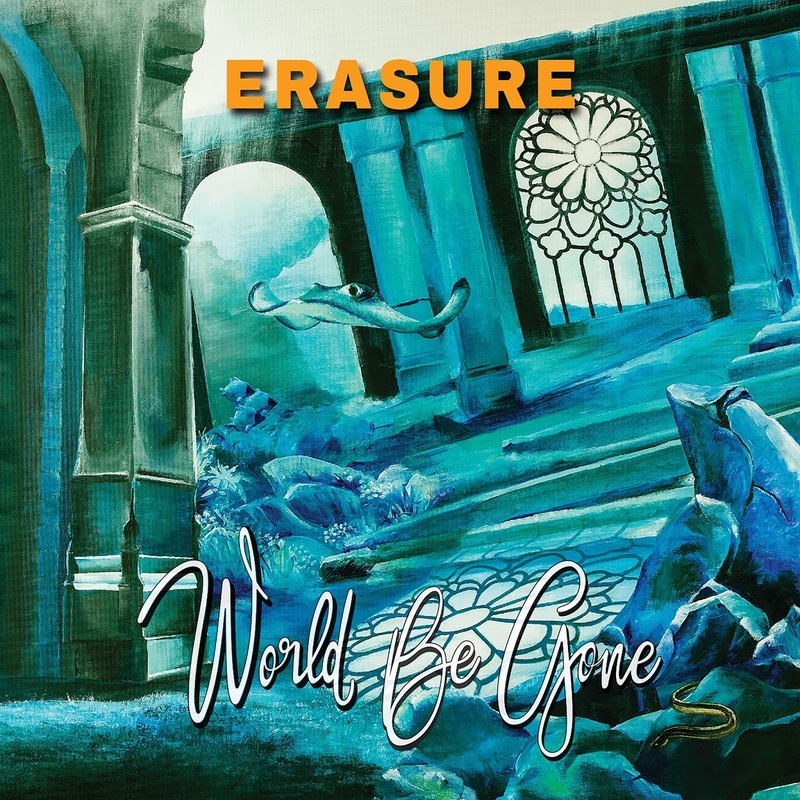 The collaboration sees the entirety of Erasure’s latest album, World Be Gone, given a post-classical rework. World Beyond was recorded over ten days by Andy Bell and seven performers from Echo Collective: Margaret Hermant (violin, harp), Neil Leiter (viola), Thomas Engelen (cello), Jaroslaw Mroz (double bass), Gary De Cart (piano) and Antoine Dandoy (vibraphone, glockenspiel). Those who pre-order World Beyond via Pledge or Lexer will have exclusive early access to tickets for the expansive North American tour dates listed below. Preorder World Beyond via Pledge here and Lexerhere. Watch a short film filmed during the recording sessions at Jet Studio in Brussels here. Publicadas por Axel a la/s 7:41:00 a. m.